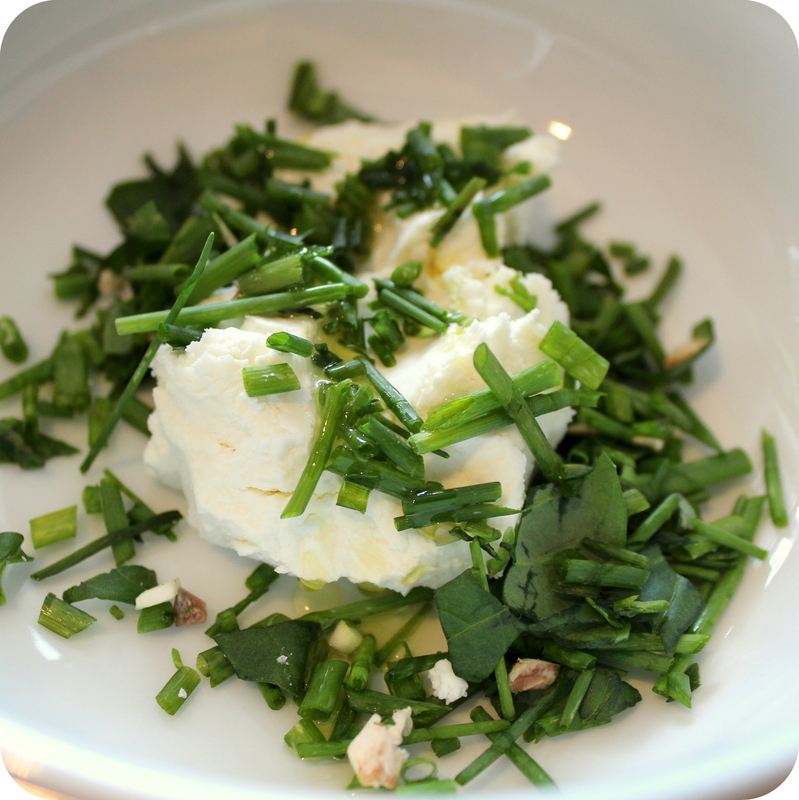 Using the combination of chives and basil, I made a goat cheese spread by mixing the herbs, cheese with a bit of olive oil and salt and pepper. It was pretty tasty, and I can see using it again for either an appetizer or as a substitution for mayo on a sandwich. 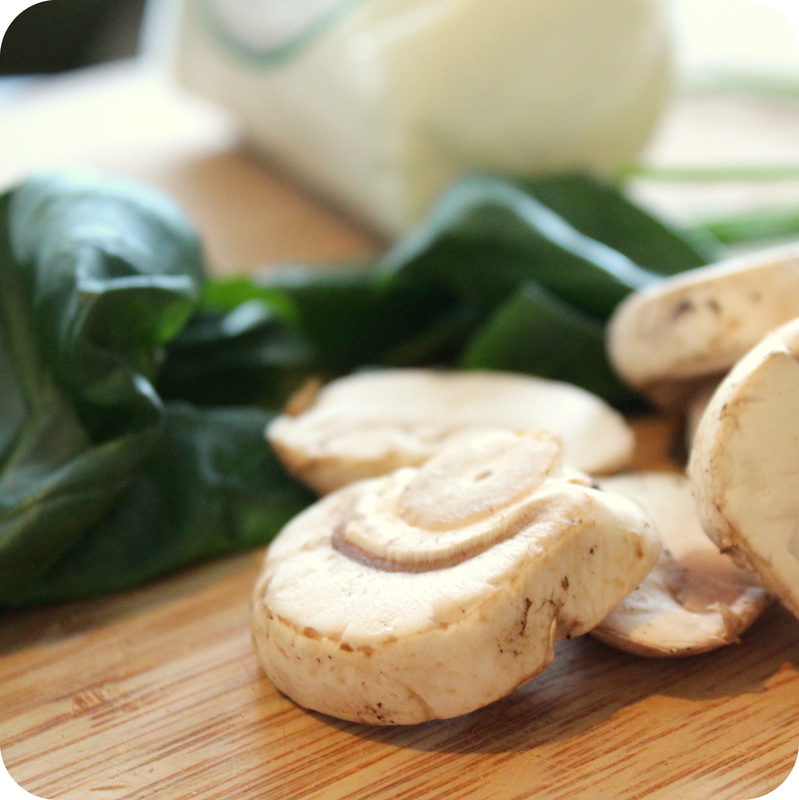 I’ve always loved mushrooms, and decided to use them instead of meat since they are easier to prepare, but left over chicken would also be a great option if mushrooms are for you. And as it turns out, the quesadillas were the most exciting part of my Super Bowl Sunday. In a mixing bowl, put the chopped herbs, salt, pepper and a bit of olive oil and mix using a fork. Spoon half the cheese mixture on to one tortilla and the rest on the other. In a saute pan, heat the olive oil over medium heat, until shinny. Add the chopped mushroom, season with a bit of salt, and cook until softened, about 3-4 minutes. Remove from heat and add the mushrooms to one of the tortillas, placing the other on top. 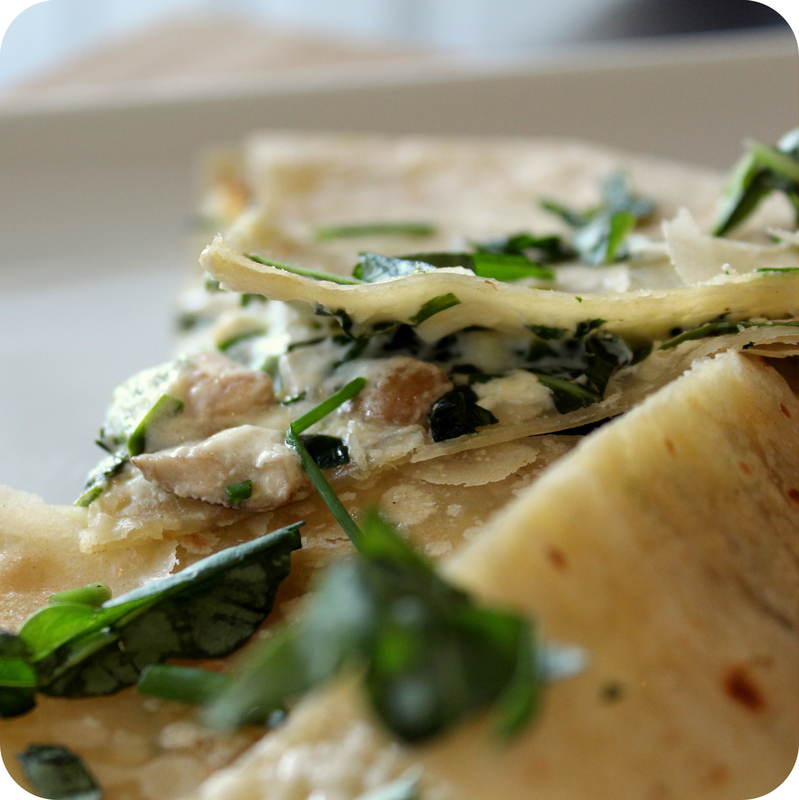 Add a bit more olive oil, then place the quesadilla in the pan. Cook for about 3 minutes, flip, and cook for another 3 minutes. Garnish with fresh herbs.